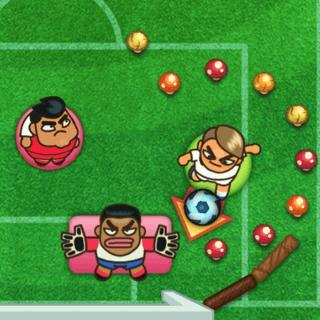 We proudly present our new game of football FootChinko! In this game, you can play every important national team tournament of the world. Pick your favorite team in each one of them and win the Africa Cup, the Olympic Games, the European Championship and look forward to the World Championship you will be able to play at the end. Every new game holds a new challenge, the final matches are the hardest ones! You can use the points you gain to buy power-ups that will help you win the match!